An exclusive Yoga retreat in Bhutan with an experience of the reminiscence of the British Raj and a trek along the Singalila ridge, which is one of the most beautiful ridges in the world! 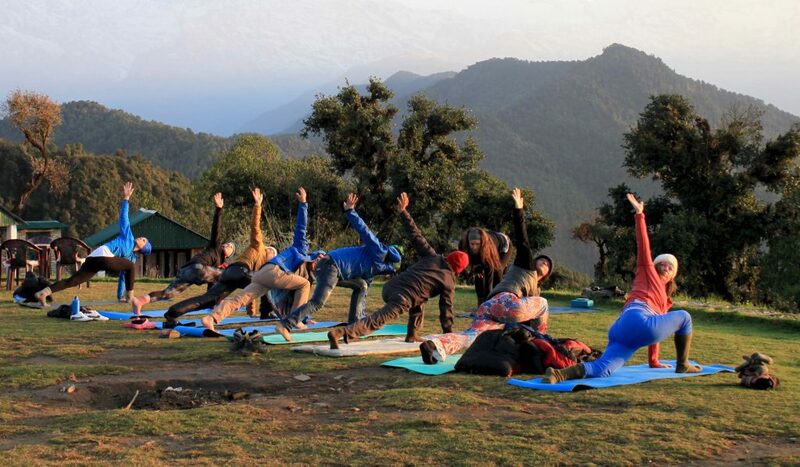 While you practice yoga and meditation everyday during the trip, this adventure takes you on a journey to the Eastern Himalayas and its Jewels- Darjeeling and Bhutan. We begin with a unique experience of the reminiscence of the British Raj- Darjeeling. Live in centuries old Victorian Bungalows, visit Tea Estates of Darjeeling and witness the making of the World’s best tea- Darjeeling tea. After visiting Darjeeling, we begin our 5 days fascinating trek along the Singalila ridge, which is considered as one of the most beautiful ridges in the world. You can get views of 4 of the world’s highest mountain from this trek, viz. the highest mountain in the world, Mt. 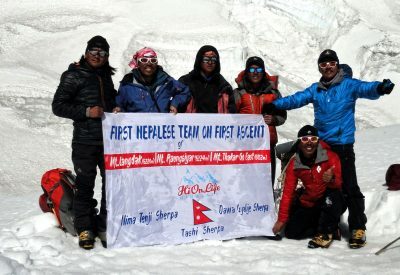 Everest 8848m, the 3rd highest mountain Mt. Kanchendzonga 8586m, the 4th highest mountain Mt. Lhotse 8510m and the 5th highest mountain Mt. Makalu 8481m. At the end of the trek we make a stop at a beautiful village of Shiri Khola where you get to participate in Ghee (clarified butter) making class, and a cooking lesson to make some mouth watering organic vegetables dishes cooked in the ghee that you made. We then venture in to the Land of the Dragon- Bhutan. A fascinating tour in this fabled land of Happiness, where the country’s achievement is calculated in the Gross National Happiness, gives you an amazing experience of this happy Kingdom. 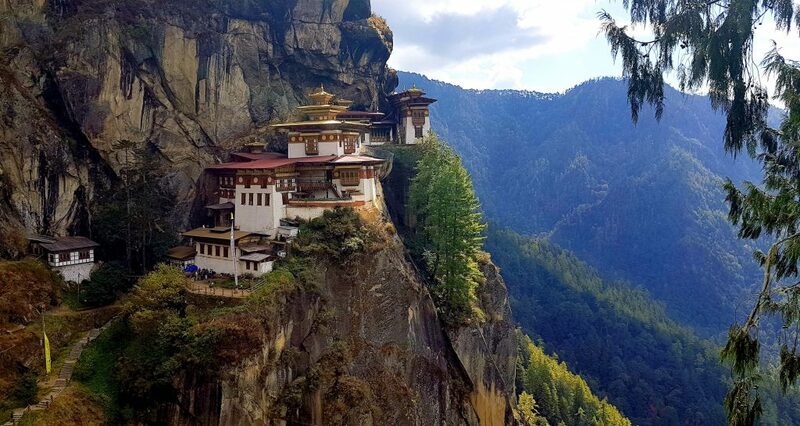 Bhutan, a tiny Himalayan Kingdom, never cease to amaze the world with its incredible policies which can only be a dream for most of the countries. The Bhutanese government considers that the happiness of the people is the most important thing in any decision or policy that it makes, so Gross National Happiness is more important than Gross domestic product. Bhutan is the only country in the world where its citizens have constitution obligation to protect their environment, which means 60% of the nation have to stay forest. It is the only country in the world to be carbon negative. Bhutan regulates tobacco and tobacco products, banning the cultivation, harvesting, production, and sale of tobacco and tobacco products in the country. However in 2012, Parliament passed urgent amendments with the effect of greatly increasing permissible amounts of tobacco and reducing penalties, although sale and distribution remain prohibited. Although a small country, and considered as the least developed country in Asia, it actually comes 1st in economic freedom and ease of doing business and peace and ranks 2nd highest in per capita income in all of south east Asian countries. It is indeed the Happiest country in the world! No wonder Bhutan has become the favorite vacationing destination for celebrities! 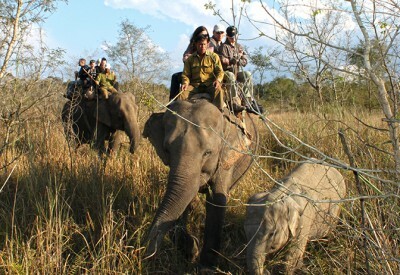 Some of the celebrities who have vacationed in Bhutan– Prince William and Kate Middleton (Duke and Duchess of Cambridge), Their Majesties The King and Queen of Sweden, politician Aung San Suu Kyi to Hollywood superstars like Brad Pitt, Richard Gere, Keanu Reeves, Drew Barrymore, Leonardo DiCaprio, Mick Jager, Justin Timberlake, Cher, Michael J Fox , Cameron Diaz, Bryan Adams, K.D. Lang, Demi Moore, Sting, Jennifer Lopez, Uma Thurman, Steven Seagel , Micheall Yeow, Eva Mendes, Nathalie Kelley, Emma Stone and Andrew Garfield, Emily Blunt and John Hoskins, Ricki Martin, Jet Li, and South East Asian celebrities like Charm Reya Osthanond, Kathryn Bernardo, Daniel Padilla, Khalil Ramos, Enrique Gil, Xiong Naijin, Gretchen Barretto, Martinez, Tony Leung, Carina Lau and many more. Bhutan , officially the Kingdom of Bhutan, is a landlocked country in the eastern end of Himalayas, between the Tibet Autonomous Region of China and India. 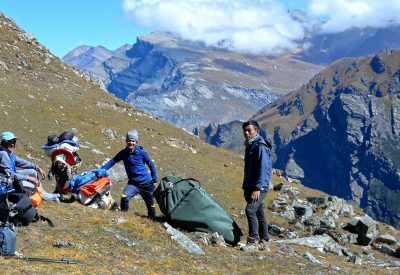 Bhutan’s landscape ranges from heavily forested foothills and subtropical plains in the south and a rugged and mountainous landscape with snow-capped peaks and glacier covered terrain in the north, where some peaks exceed 7,000. It has developed the philosophy of Gross National Happiness, where development is measured using a holistic approach of well-being, not just based on gross domestic product. The Government of Bhutan provides free education and, though rudimentary, free medical care to its citizen. The sale of tobacco products is banned and smoking in public areas is a fine able offense. In 2008, Bhutan made the transition from absolute monarchy to constitutional monarchy and held its first general election. Major sources of income are tourism, hydroelectric power and agriculture. Bhutan has long maintained a policy of strict isolationism and only a limited number of tourists are allowed each year. For all our trips to Sikkim and Bhutan, we use Darjeeling as a staging point. Darjeeling, a picturesque town, is situated along a 2100 m ridge from where you can see most part of Northern Sikkim, with Kanchendzonga as a backdrop. Darjeeling was once a part of neighbouring Sikkim until 1835 when the Chogyal deeded it to the Governor General of India, which was then under the British Raj. The British in turn established Darjeeling into a hill station as an R&R centre for the troops and as a resort for the Raj to escape the heat of the Indian plains. Today it is a busy business hub with uncountable hotels and shops. A little outside the main town still sees narrow lanes with the Victorian bungalows, stately boarding schools, English botanical gardens, yawning mansions, and the famous Toy train which is a World Heritage- reminiscing the era of the British Raj. Darjeeling has fascinating mixtures of culture, including Hindu, Buddhist and the remnants of the Raj in a relaxed and friendly atmosphere. On arrival at Bagdogra, you will meet your guide. Once you claim your baggage and walk out of the main exit, please try to find Hi On Life Adventures sign board. Once you spot it, please walk to the representative holding the board and identify yourself. From Bagdogra it is 40 min drive to Siliguri and just before entering the main town of Siliguri, we turn North and drive through tea gardens and forests towards Darjeeling. Upon arrival at Darjeeling we check in to our hotel. We can take an evening stroll around the famous Mall road and Chowrasta witnessing the local life. Dinner will be served at the hotel. Darjeeling is built on top of a ridge at around 2200m above sea level. With the Mt. 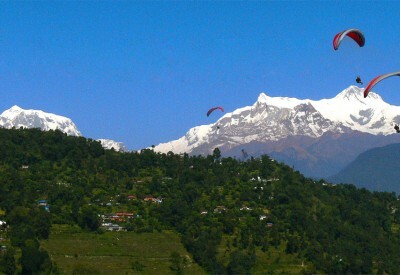 Kanchendzonga and its ranges as a backdrop, it is a popular tourist destination for Westerners and Indians alike. The richly forested land was originally acquired by the British in 1833, who introduced tea growing and promoted the settlement as a health resort. Day 2- Sightseeing tour- HMI, local bazaars, Tibetan Refugee Centre. After breakfast, we can take a sightseeing tour of some of the attractions around Darjeeling. 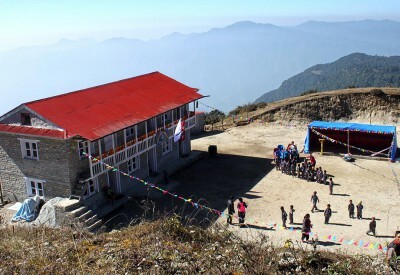 These include Tea plantation, the Himalayan Mountaineering Institute (HMI), which has a superb collection of memorabilia from the early days of Everest exploration. Next door to the HMI is the Darjeeling Zoo where the star attractions are red pandas and snow leopards. The Tibetan Refugee Centre, where handicrafts can be found at very reasonable prices is another option. After lunch, we will visit some stately boarding schools and later take a stroll around the town’s many colorful bazaars. Day 3- Joy ride toy train to Ghoom and drive to Kalo Pokhari. After breakfast we begin with the “Joy ride” in a UNESCO World Heritage Toy train which is built between 1879 to 1881. This fascinating train ride takes us through road side vegetable shops and cris-crossing the motor way. It stops for a while at the famous Batasia loop which is a memorial for the brave Gurkha soldiers, which also offers a fantastic vantage point of the Kanchadzonga on a clear day. We will stop at Ghoom station where our car will be waiting for us. From Ghoom we drive to Manebhanjyang on a narrow winding road and then continue to Meghma. Here we will change to 4X4 Land Rovers and drive to Kalo Pokhari, which translates to Black Lake. Singalila National Park was established in the year of 1986 and has total area of 78.60 square kms. The park also provide suitable habitat to species like Leopard, Pangolin, Chinkara, Elephant, Barking deer, Clouded Leopard, Black Panther, Chinese Pangolin, Himalayan Black Bear etc., and bird species like Scarlet Minivet, kalij pheasant, Satyr tragopan, Blood pheasant, Red Throated Hill Partridge, Sylendor Billed Babbler etc. Trek gradient: Easy – moderate. Gradual ascent for the the first 30 minutes followed by a steep ascent for about an hour, and finally, an undulating path on the motor road. We begin with an easy trek to Bikheybhanjang. There are amazing views of the cascading hills towards the Nepalese side and Kanchendzonga ahead of you. The trail from here to Sandakphu is a steep incline of 4 km and zigzags up the hill. Trek gradient: Moderate. Begins with a gradual decent followed by a combination of gradual and steep ascents and level walks. Rocky path (gravel roads) with few muddy sections and forest cover. Will get tricky if it rains. We will wake up early morning for the sunrise view over Kanchendzonga. 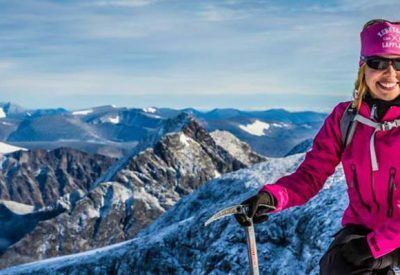 It rewards us with one of the world’s most coveted panoramas of the mountains. Four of the world’s highest mountains are seen from here- Mt. Everest (highest), Mt. Kanchendzonga (3rd highest), Mt Lhotse (4th highest) and Mt Makalu (5th highest) along with Nuptse, Baruntse, Chamling, Chomolonzo. 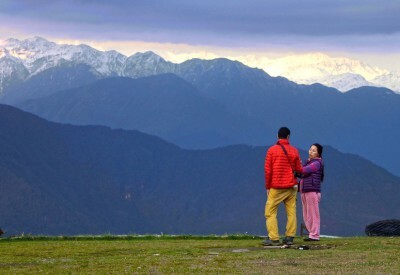 Towards the east, you see the highest ranges of Bhutan, where Chomolhari the highest peak, rises above all the others. After the sunrise view, we will have breakfast and start our trek. The trail is a beautiful walk through ridges and meadows with mountain views and diversity of flora and fauna. You will walk on ridges and meadows. Trek gradient: Steep descent all the way through dense forest and rocky steps. The trail descends steeply all the way to Shiri Khola through dense forest. 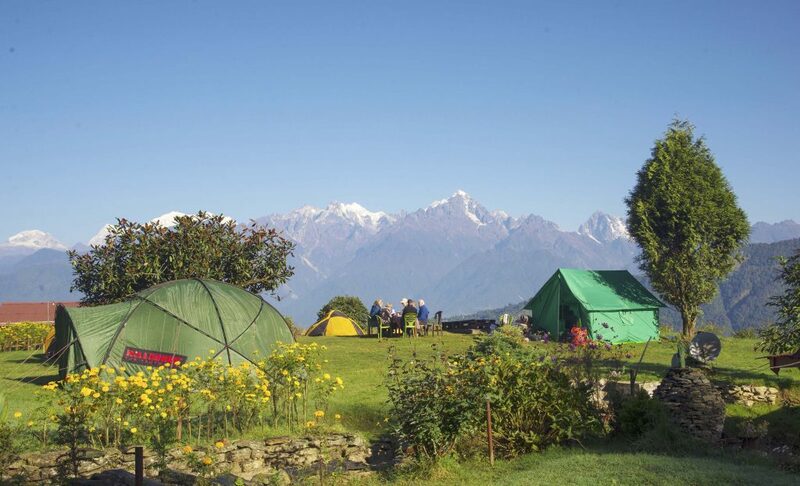 Upon arriving Shiri Khola we will camp near a local homestay. They have a beautiful garden where they grow organic vegetables. We arrive here before lunch. After lunch we will have Ghee (clarified butter) making workshop. We will learn the process to make Ghee from the cream collected from milk. It promotes a healthy digestive tract: Ghee is rich in butyric acid, a short-chain fatty acid that nourishes and repairs intestinal cells. It decreases inflammation and reduces risk of cancer: Butyric acid supports the production of killer T cells, which kill cancer cells. It can help reduce risk of heart disease: Ghee is rich on conjugated linoleic acid (CLA), a fatty acid known to protect against carcinogens, artery plaque, and diabetes. Because of these benefits, researchers say ghee can help prevent cardiovascular diseases. It Promotes Healthy Weight Loss: The medium-chain fatty acids found in healthy fats like ghee and coconut oil can boost fat burning and help ramp up weight loss. It helps cleanse negative emotional toxins and promotes positivity: Ghee is considered one of the most Sattvic foods, which are essential, energy-giving, and pure in nature. Sattvic foods promote positivity, growth, and expansion of consciousness. It Strengthens Your Bones: Regularly incorporating a few servings of ghee into your diet can help you meet your vitamin K needs. Vitamin K is essential to many aspects of health, such as blood clotting, heart health and brain function. It’s also incredibly important when it comes to keeping your bones healthy and strong. In the evening we will also pick some fresh tea leaves to make our own organic green tea which we can enjoy the next morning. Enjoy the organic tea that we had prepared the day before. Today we will focus on Yoga. Your Yoga instructor will arrange a special class. After the morning Yoga workshop we will visit the village. It is an amazingly beautiful village. People in this village are very keen on flowers. Every house is draped with orchids, begonia, dahlia, geranium and Chrysanthemum. In the afternoon we will visit the vegetable garden and pick some fresh organic vegetables. We will learn some new dishes with vegetables in Indian style cooked in the Ghee that we had made the day before. We will also exchange some recipe of every participant. Overall it will be a day with lots of Yoga and plenty of fun. A 45 min descend from the village will bring us to the main road. Here our car will pick us up and drive to Tumsong or Goomtee Tea Estate. Upon arrival we will check in to our rooms. The afternoon is free to relax and explore on your own. The Bungalow was constructed as a residence for Manager of the Tea Estate in the early 1900s. Over the years the bungalow was expanded and renovated extensively while retaining the original character. The polished wooden floors and moulded ceiling are magnificent. Please remember, Tumsong Resort is not a commercial venture, rather an invitation from the present owners to experience the life of a Darjeeling Tea Planter. In the afternoon you can visit the local village nearby or simply relax and enjoy the serenity of the tea garden. After breakfast we will drive to Siliguri. Upon arrival to Siliguri we check into our hotel. In the afternoon we will go for a rickshaw ride and visit the local market. This gives you a real taste of everyday life in India. A 35 mins flight into Paro with Druk Air, Bhutan’s National Airline is a spectacular scenic flight. The flight takes you over the great Himalayas, offering most beautiful scenery of the world’s highest glacial peaks. You will be received by our representative at the airport and driven to your hotel at Gangtey Palace. After a short break we visit the Ta Dzong or National Museum, rated among the best natural history museums in Asia. The Ta Dzong offers a unique and varied collection of Thangkas, handicrafts, stuffed animals, masks, costumes and amour and it gives a good idea of the culture and traditions of Bhutan. On the way you will also get to explore the weekend Market of Paro Valley. Later we visit, Kyichu Lhakhang, one of the oldest and most scared monastery in the country. It was built by the first Buddhist King of Tibet Songtsen Gampo in the 7th century. Then you will be driven to the ruins of Drukgyal Dzong or “fortress of the victorious Drukpas” was built in 1649. 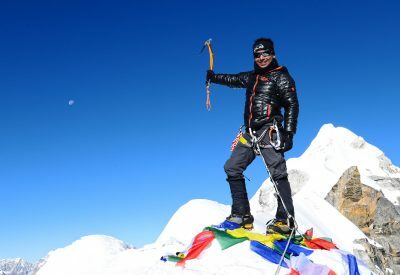 In fine weather, the towering peak of Mount Jumolhari, (7,314 m / 24,000 ft) appears as a backdrop. You will then be driven to the hotel. In the evening we will go to farmhouse for a local welcome dinner with traditional dance shows. Today we hike to the most famous Taktshang, popularly known as the Tiger‟s Nest, built amazingly on a steep cliff. According to legend, Guru Padmasambhava flew here on a flying Tigress and meditated there for three months in the 8th century. It was from there, he propagated the Vajrayana- Mahayana Buddhism (Larger Wheel) that was prophesied by the Buddha at the time of attaining Nirvana. The walk uphill takes you a little more than 300m above the Paro valley. It is a great pilgrimage destination for devout Buddhists. The main deity of Taktsang is Dorji Drolo, the wrathful form of Guru Rinpoche, (the precious teacher). There are 13 sacred sites at Taktsang, and several meditation caves in the cliffs above. Many saints are said to have meditated here. The return walking time is approximately one hour. Towards evening after the hike we will enjoy the Bhutanese Traditional Hot Stone Bath which uses river rocks that therapists place in water where they crack and steam, releasing key minerals and relieving deep-set aches) followed by dinner which in a local farm house with local family where they will serve typical Bhutanese dishes. After breakfast, drive to Punakha. The road climbs from Thimphu to Dochula pass and descends through ever changing forests into the semi-tropical valley of Punakha and Wangdi at around 1200m. En-route stop at Dochula pass (3050m) where you can view the eastern Himalayas, including Bhutan’s highest mountain, Gangkar Punsum (7,550m). Punakha is located at about 1,250m with pleasant winters. Cactuses, Oranges, bananas and sub-tropical plants are found here. Punakha was once the winter capital of Bhutan, the tradition that is still held by the Central Monastic body. Upon arrival, we visit Punakha Dzong, “Palace of Great Happiness”, which is located on the confluence of two rivers; Pho and Mochu was built in 1637 by Shubdrung Nawang Namgyal. It serves as winter residence for the Central Monastic body, which migrate from Thimphu to Punakha in the winter. It is also the venue for Punakha Festival held in February or March. Fertility Temple (Chimi Lhakhang): a monastery and fertility temple dedicated to Lama Drukpa Kuenley, a Tibetan Buddhist saint known popularly as “the divine madman” and considered a folk hero in Bhutan for his unconventional ways. Drukpa Kuenley originally built a chorten on the site in the 14th century, on which a temple was later built in 15th century. The temple, flanked by nearly 100 tall prayer flags, sits atop a picturesque hill. It has long been a pilgrimage site for childless couples. This easy walk takes about ½ hour each way. Today we take the day at leisure. Other than the Yoga sessions the rest of the day is free to explore on your own. Thimpu is the capital city of Bhutan, and is home to approximately 100,000 inhabitants including the Royal family. This bustling little city is the main centre of commerce, religion and government in the country. Thimphu is a modern city with an abundance of restaurants, internet cafes, nightclubs and shopping centres. However, it still retains its’ cultural identity and values amidst the signs of modernization. The subtle combination of ancient tradition and modernity make Thimphu the ideal location for visitors to break away from their tour itinerary to immerse themselves in the contemporary Bhutanese lifestyle. In the morning we will drive to the Great Buddha Dordenma statue. It is a 54m tall statue with a huge courtyard. Here is a perfect place for mediation and yoga. After Yoga we will come back to hotel to have breakfast. Today you all will enjoy full day Local sightseeing at Thimphu includes visit to the National Memorial Chorten, a stupa dedicated to world peace), a shrine built in 1974 in memory of the Third King of Bhutan dedicated for world peace and prosperity followed by the visit to the School of Arts and Crafts (National Institute of Zorig Chusum) where students undergo training course in Bhutan’s 13 traditional arts and crafts; the National Institute of Traditional Medicine where Bhutan’s famed traditional medicines are compounded and dispensed; the Folk Heritage Museum which will provide an insight into traditional Bhutanese farm house and rural past through exhibits and documentation of rural life. After lunch, visit the Textile Museum to see a range of beautiful Bhutanese textiles and then Changangkha Lhakhang, a fortress like temple which lies perched on a ridge above Thimphu; Takin Preserve to see the rare national animal of Bhutan. This animal is chosen as the national animal of Bhutan for its uniqueness and its association with the country’s religious history and mythology. A further drive towards the BBS Tower will provide a bird eye view of the capital. Also visit a small family-run enterprise which manufactures paper and paper products using traditional methods followed by visit to Tashichhodzong or the “fortress of the glorious religion” which is Bhutan’s administrative and religious centre and houses the throne room of His Majesty the King of Bhutan, other Government offices. It is also the summer residence of Je Khenpo or Chief Abbot. Early morning drive to Paro airport and fly to Delhi with a short transit at Bagdogra or a direct flight. The drive to Paro takes about 1 hour, covering distance of 50 km. The flight takes around 2 hours 30 mins to Delhi. Upon arriving Delhi if you have your connection flight to your home country then you can wait at the airport. If you have your flight the following day then we can arrange a hotel for you. 2 days sightseeing in Darjeeling. Tourist service fee and all taxes applicable as per state law. Private room accommodation in unless a single supplements is paid.